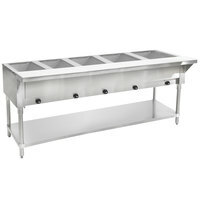 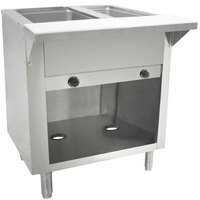 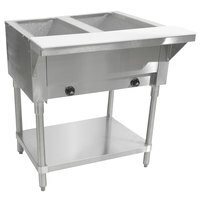 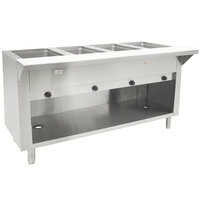 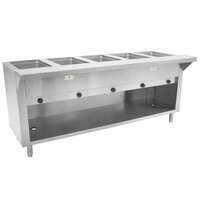 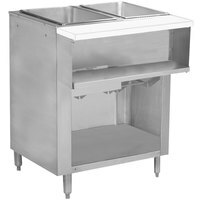 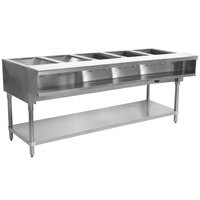 If you need to keep foods warm at your high-volume foodservice business, a gas steam table may be the solution for you! 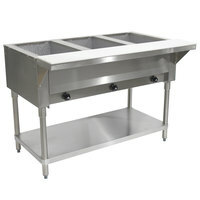 These tables come with two or more compartments that can hold full size pans or a configuration of smaller ones. 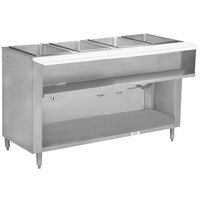 If you're offering an entree, several sides, and dessert, these tables will hold all of your courses in one compact space. 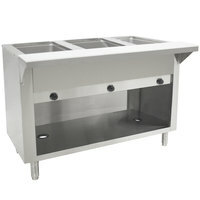 Since they're gas powered, they'll also hold hot foods at safe serving temperatures. 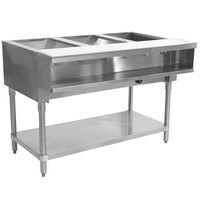 Choose a steam table with a sealed well if you want to hold foods with moist heat only and eliminate the use of spillage pans. 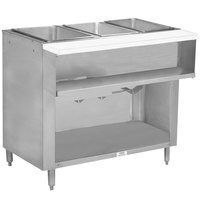 Open well designs allow you the flexibility of moist or dry heat, depending on the type of items you're serving, but they require spillage pans. 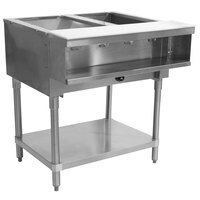 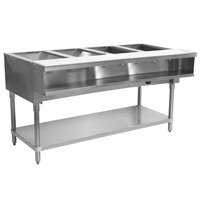 We also have gas steam table options with a variety of open and enclosed bases to suit your aesthetic and functional needs. 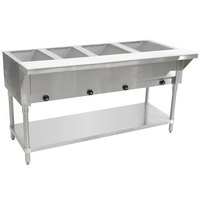 All tables have an undershelf that increases your storage capacity, too!